Warren Buffett has a big collection of Nebraska Cornhusker paraphernalia. "I've always liked sports. I haven't been that good at it. I've been redshirted now for 61 years," the 80-year-old investor said. 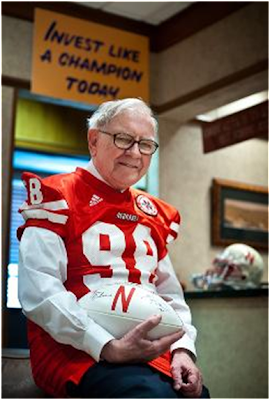 "Bo Pelini has got it," Buffett says. "Devaney and Osborne couldn't have been two more different guys, but they both really could rally their teams in a different way, and Pelini is the same way."